2018-10-19. Published in category Articles. There is no way that you can walk upon this Earth without music. You can’t communicate without music. People stay strong through music. Sometimes it’s the world against them. But music remains true. The Cosmic Krewe have a new single out, which was recorded in Santiago. It contains highlights from two performances. We have been going for quite some time, and there were even two versions for a while. I also just did a recording with the Sun Ra Arkestra and Bono. It’s always very busy for me. I work with Kool & The Gang, and with them it’s pretty much the same show in the same way all the time. I work with the Arkestra, and with them there is no telling what’s going to happen during a performance - and it’s what comes after five to twelve hours of rehearsal. It’s hard to be involved in as many things as I am, but it’s fun to be on the road. I stay in shape. I have been in most places, so there is no point in going out much. I stick to doing what I’m doing, and when I go on vacation I do nothing at all. Some people are so creative and they don’t even know it. They hum where they go and can’t hear it themselves. You need to be in tune with the planet, and nurture that energy. The world can be like a long, plastic hallway. You need to stay true to yourself. 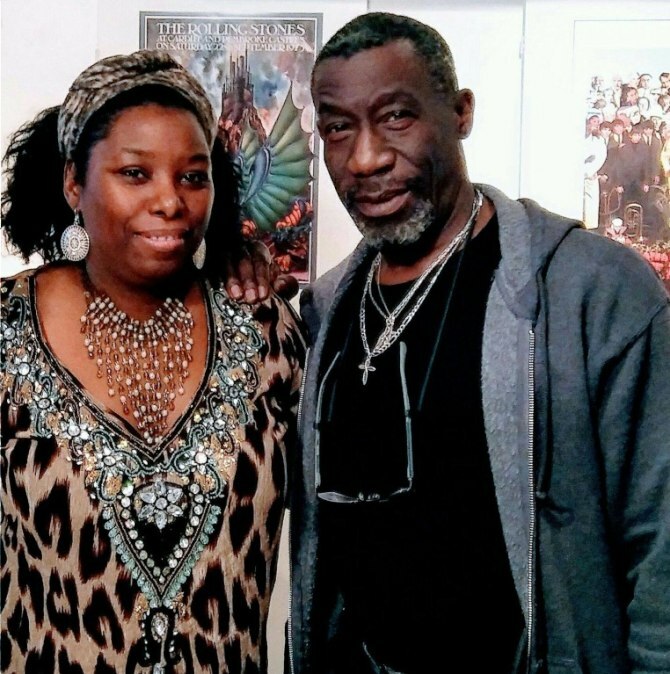 Michael Ray is presented thus by his partner in music and life, artist Laranah Phipps-Ray: - Michael is so well respected even in the most remote places. They love him and they might not speak the same language. He is very hard-working, very detailed, very technical, and keeps the excitement of a beginner. I am always inspired by him. He is fast-moving, energetic and exhausting - and we are both eclectic, and this keeps us drawn to each other.